To make a reservation, please call (757) 645-4711. The HD Golf™ cloud-based Clubhouse Management System is the first of its kind. This system provides the utmost in convenience for managing all golf play at Revolution Golf and Grille (RGG). Golfers enrolled in the Locker Room can track all facets of their game and may interactively play other players from around the world. In addition, players, instructors and RGG management can communicate directly with all Locker Room members. This service is free but players must go to Clubhouse Management System to sign up. The Clubhouse Management System provides the complete package for managing clinics, setting up leagues, tournaments or even advertising upcoming events and specials. There are several features for the members including their own Player Profile and individual Locker Room where they can store all their stats. The system provides the opportunity for players and instructors to collaborate on lessons, drills and critiques. Instructors can upload lessons and drills to their students cloud-based Player Locker. It also offers a means for players to communicate with other players or instructors using the Messaging feature of the program. The HD Golf™ cloud-based Clubhouse Management System offers the following features and resources at your disposal. Clubhouse –This section is where RGG advertises special events, special food and drink, upcoming tournaments and leagues. 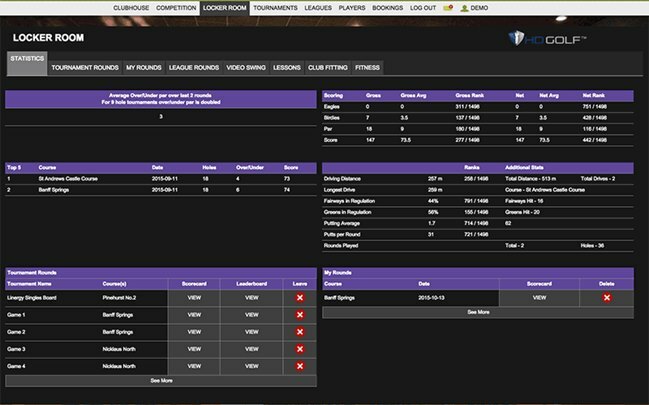 Locker Room – In this tab, members will find their player profile and complete statistics of all rounds played. All statistical information on tournament rounds, personal (your) rounds, leagues, Video Swing, lessons, Club fitting and Fitness. 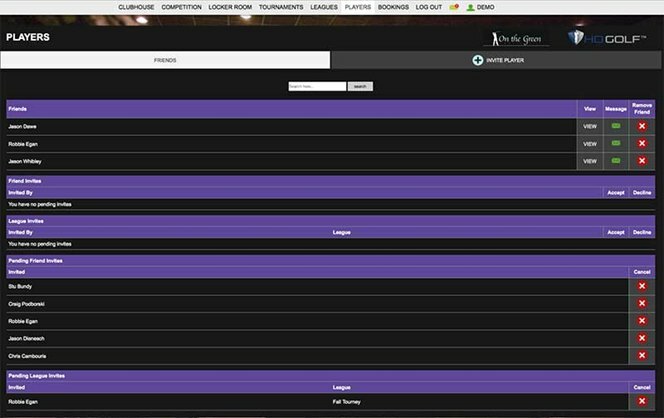 Players can view tournament or league standings at any time via the Internet. Instructors can upload lessons, drills and critiques to a player’s Lessons Section of their locker room. This program can provide critical analysis of a players golf swing, using the available tools to draw lines indicating both proper position and stance. Instructors can include audio about new drill information, so players can review and practice. Instructors can conduct lessons or clinics remotely i.e. reaching players at their home, indoor golf centers etc. 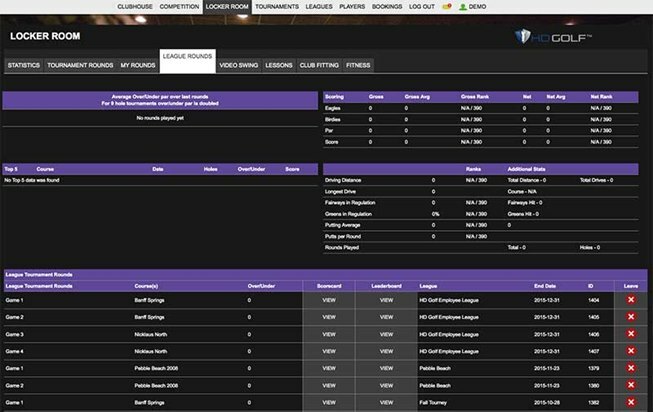 Leagues – This area allows players to form leagues either remotely with friends or leagues from any place in the world. 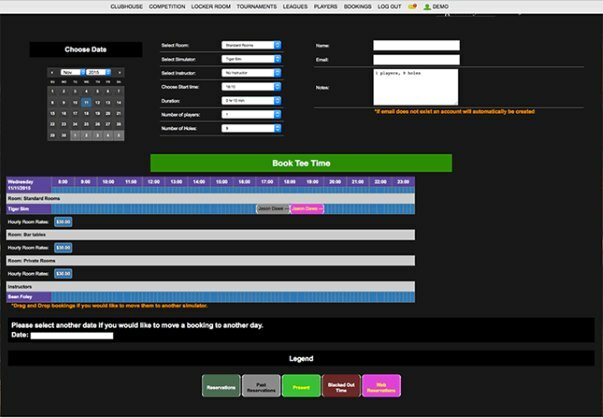 This area allows RGG to manage leagues, track all the scores to provide standings at the click of a button. Tournaments – Players can play competitive tournaments with other players either locally or from around the world. Messaging – Messaging function allows players or RGG to communicate with each other. RGG can also communicate with everyone in a league or tournament. Instructors can message back and forth with the player regarding lessons, critiques and other instructional information. Want to join our Revolution Team?